The iPhone XS Max was recently unveiled with one of the heftiest price tags we've ever seen on a production smartphone. Thankfully, it offers a matching camera performance, but one still a touch below the absolute best. According to DxOMark, anyway. Apple unveiled its new iPhones a while ago and the most expensive in the lineup, the iPhone XS Max, made its way over to photography benchmark website DxOMark for evaluation. As expected, the flagship impressed. According to DxOMark, the iPhone XS Max recorded an overall score of 105, which makes it the second best camera device in the world by the website’s standards, narrowly beating out the new Samsung Galaxy Note 9 and HTC’s U12+ flagship. In the still photography test, the XS Max achieved a score of 110, ahead of the Mi 8 (105), HTC U12+ (104), Huawei P20 (107), and Samsung Galaxy Note 9 (107). Notable weaknesses included underexposure when flash fired and a lack of detail in zoom shots. Interestingly, the XS Max managed to do bokeh shots better than most of the devices in its weight class, bar the Huawei P20 and P20 Pro. 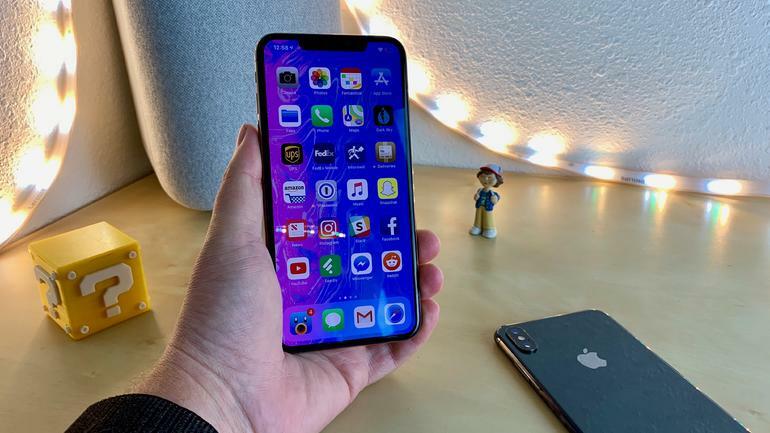 In the video category, the iPhone XS Max recorded a score of 96, on par with the Google Pixel 2, Samsung Galaxy Note 9, HTC U12+, and Huawei P20 Pro. Notable weaknesses included unstable white balance in indoor lighting conditions, and noise in low light. Both weaknesses aren’t particularly distressing, anyway, as all the flagships have them too. Do note that DxOMark scores aren’t definitive and should, at best, be used as reference points.